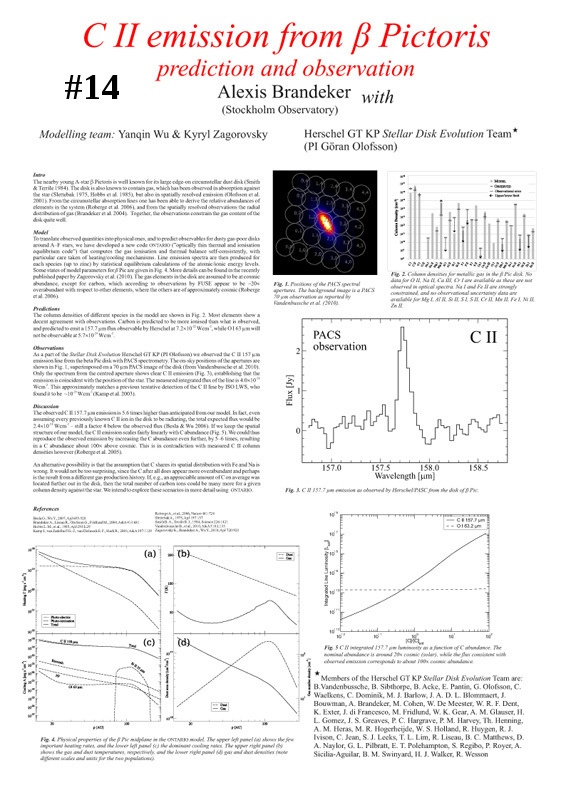 The goal of this conference was to bring together researchers from the infrared and star formation communities to share recent research results, contrast them with earlier insights gained from ground-based and space-based observatories, and help guide our theoretical understanding of physical and chemical processes in regions of star and planet formation. The meeting took place at a time when the early, exciting results from the Herschel Key Programs were becoming available. The meeting was attended by 126 participants. H2 near-infrared emission from the Herbig Ae stars HD 100546 and HD 97048. Evidence for a extended disk atmosphere? HD 207129 as seen by Herschel/PACS: a perfect debris disc ?